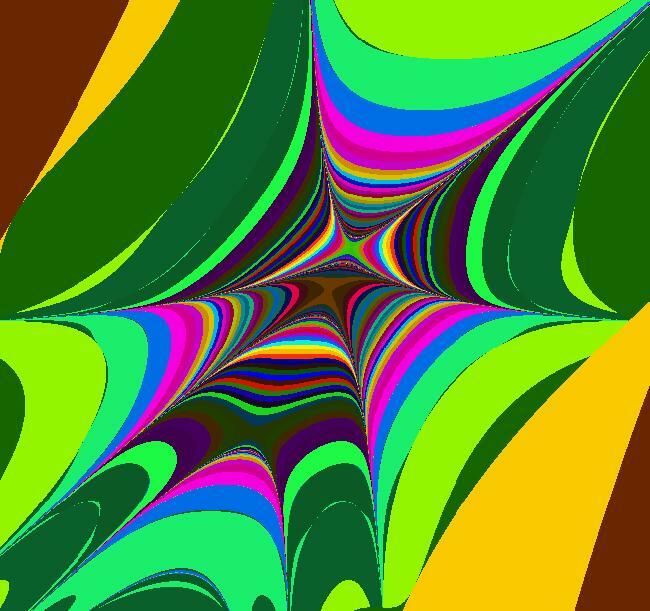 Click "video" to see a video. 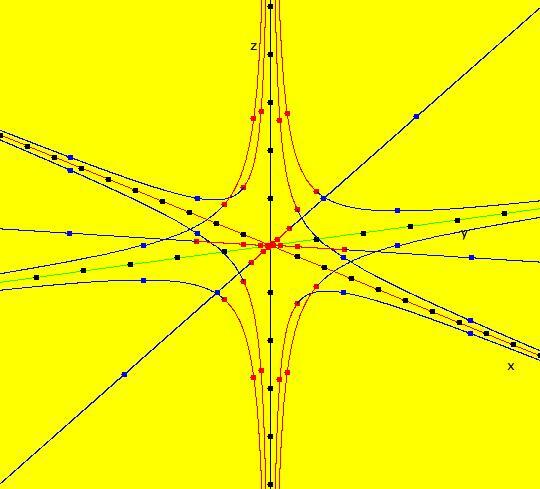 See the discussion of the Poincare compactification mapping of R2 to R2+ in the OdeFactory User Guide. 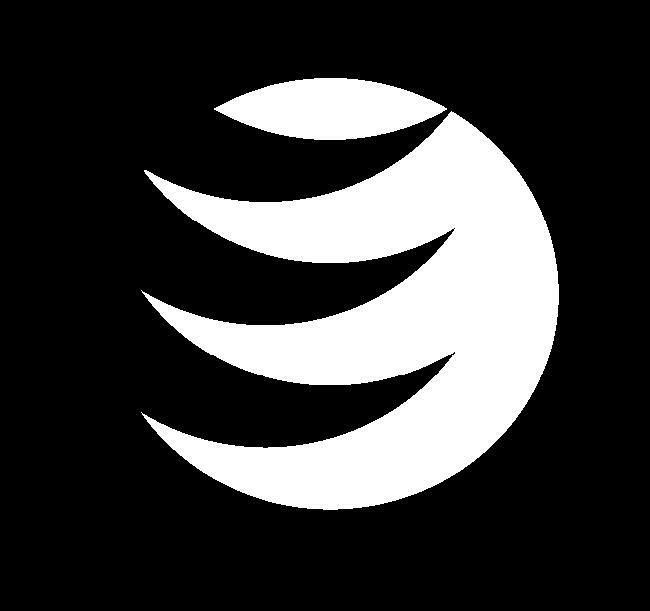 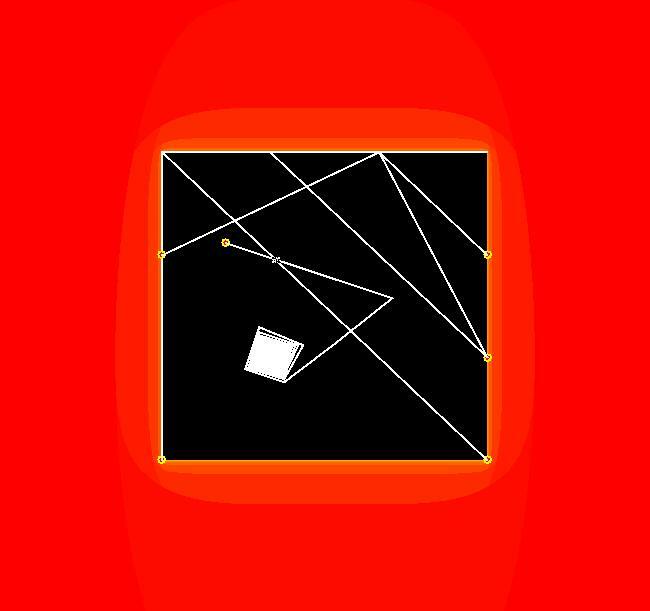 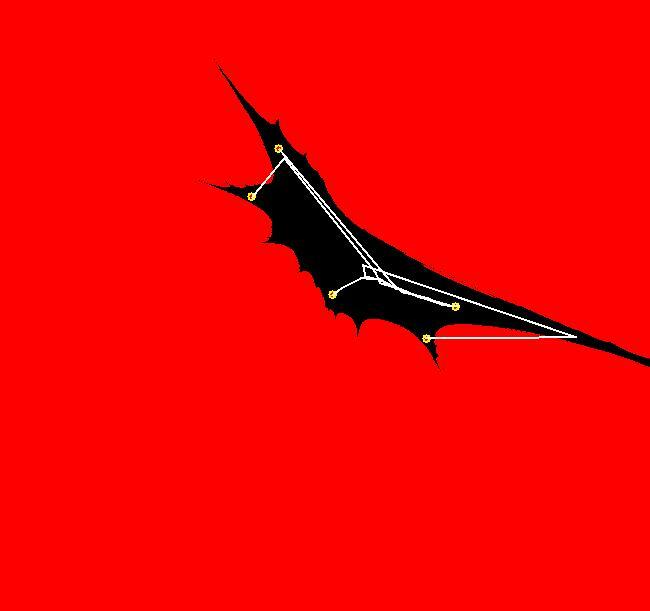 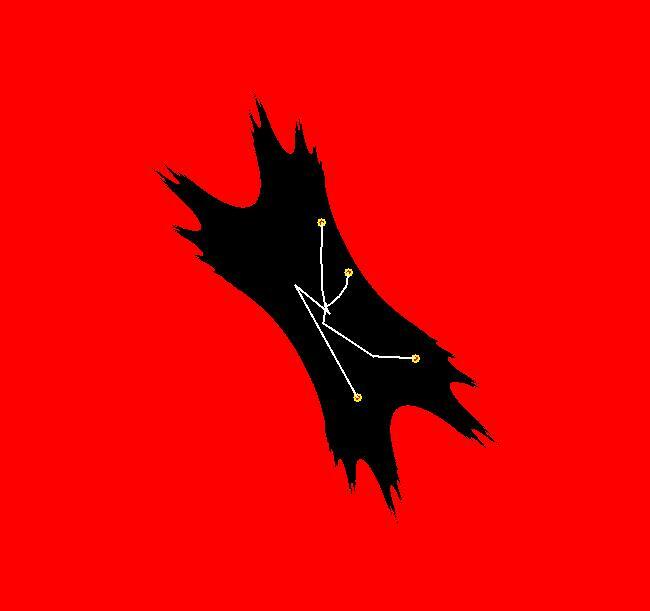 (d) finally start a representative trajectory in each component. 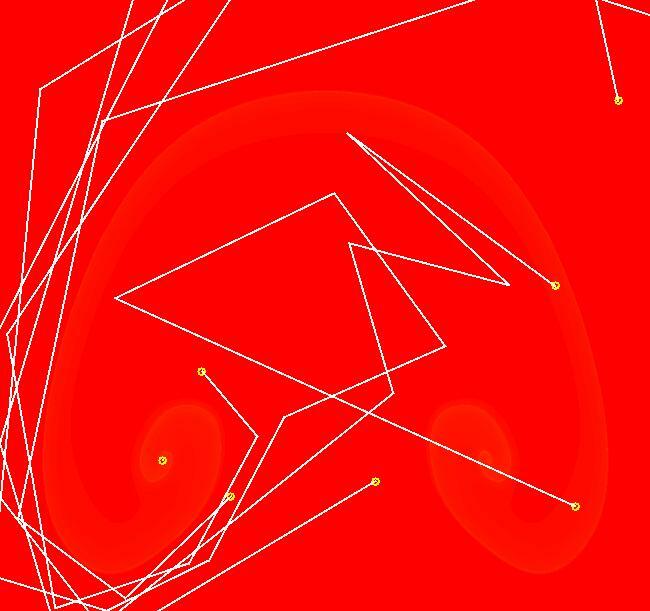 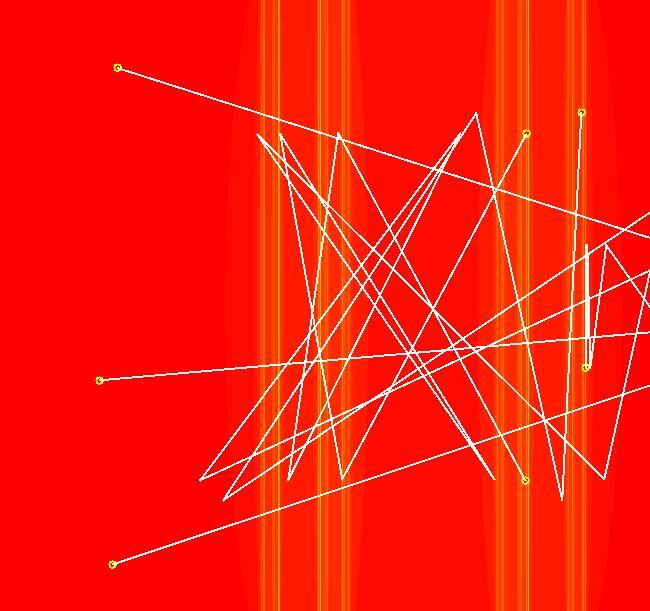 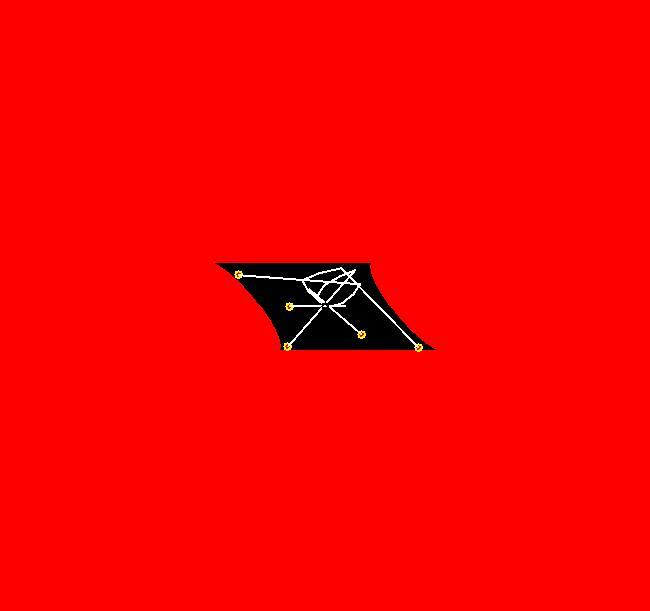 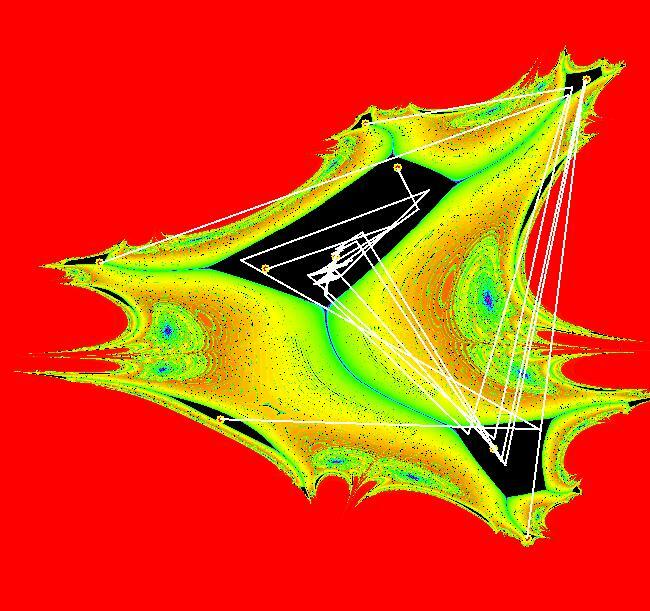 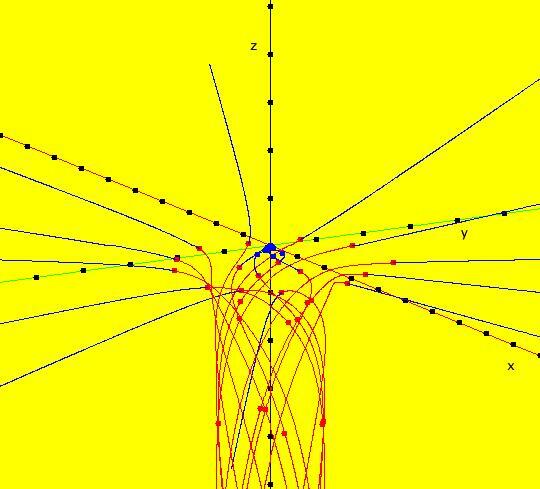 All trajectories in each component are topologically equivalent while trajectories in different components are topologically distinct. 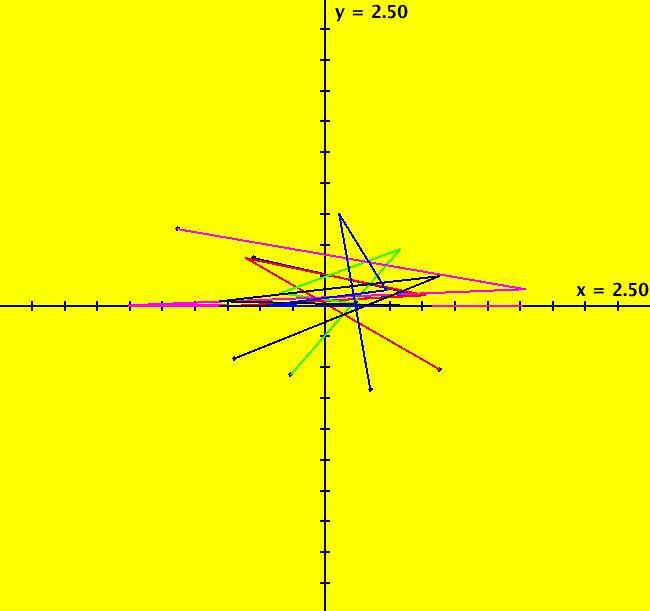 --> Try a Flow animation in R2+ and notice the fixed points at infinity. 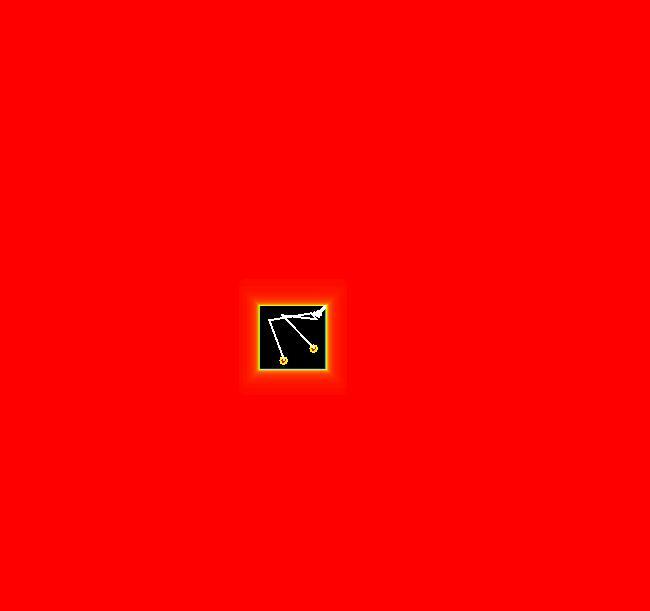 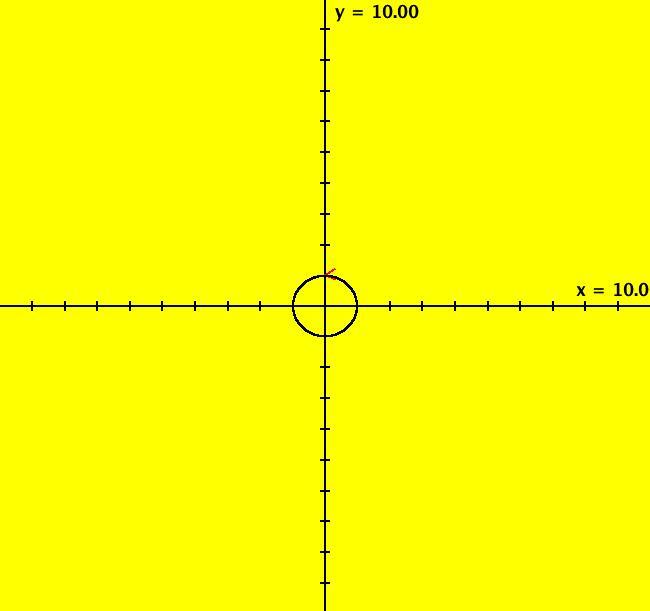 dy/dt = -Hx = y. 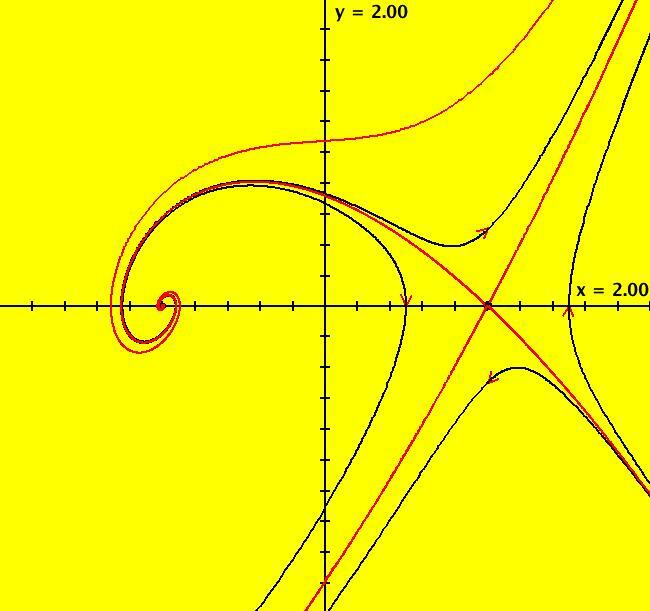 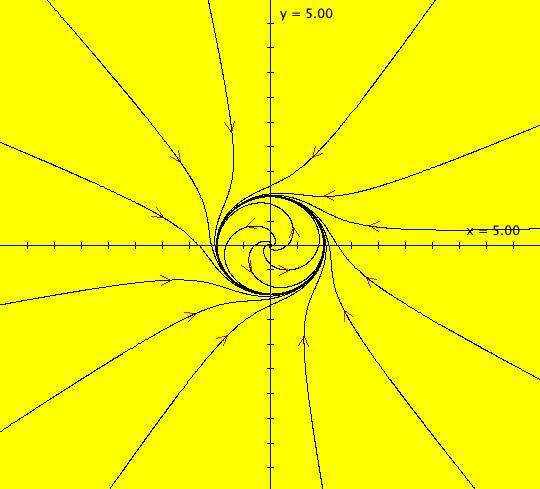 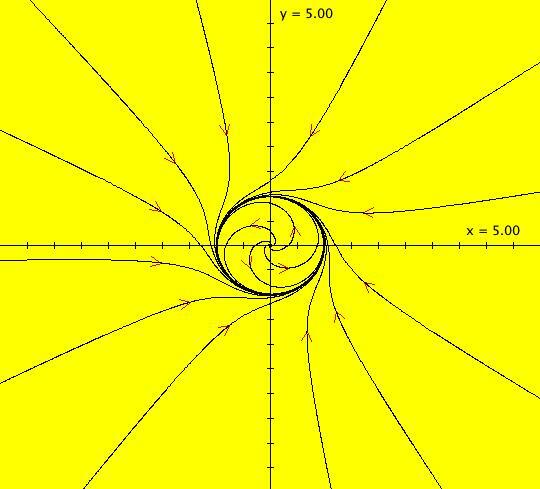 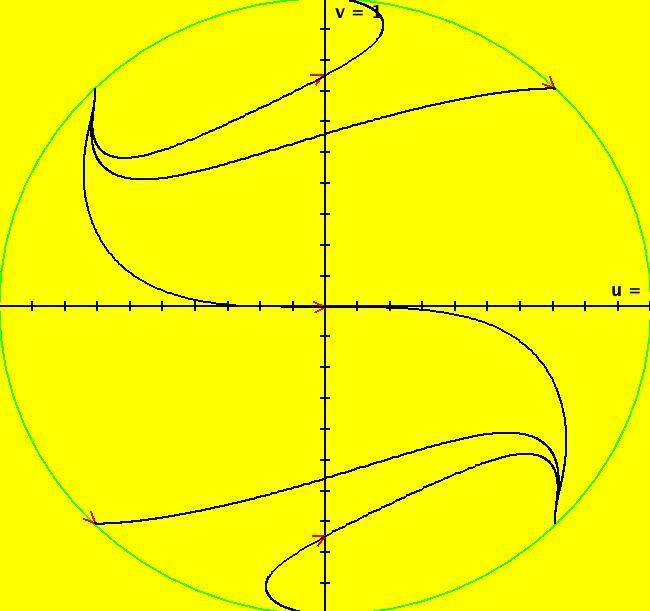 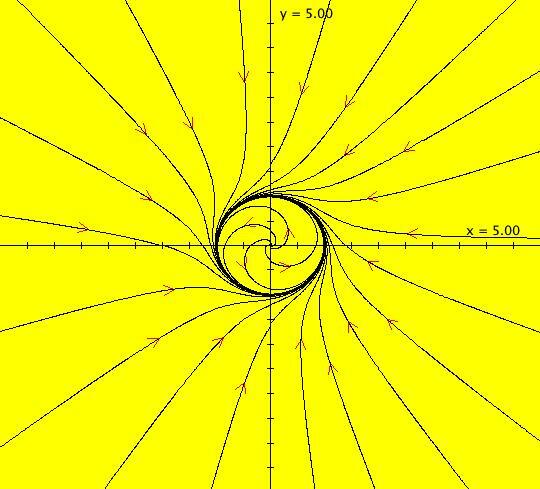 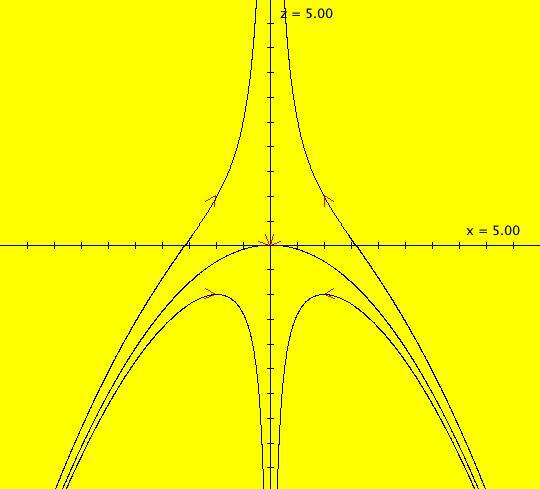 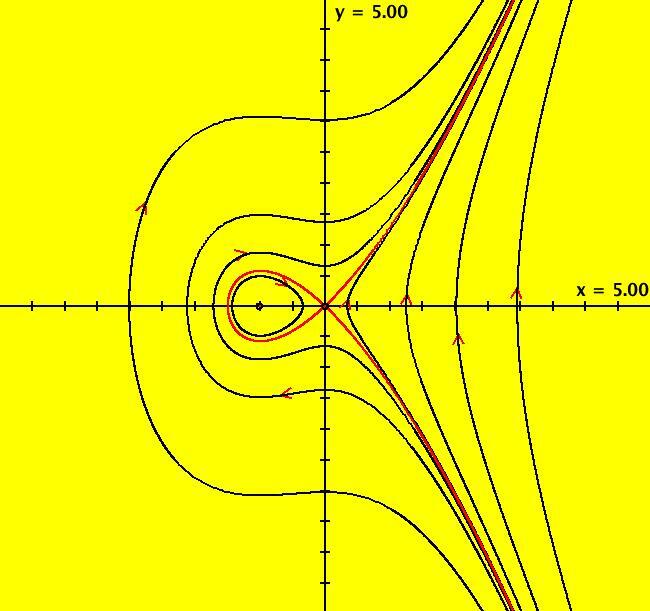 The sectors near the fixed point at (0,0) are called "hyperbolic" sectors. 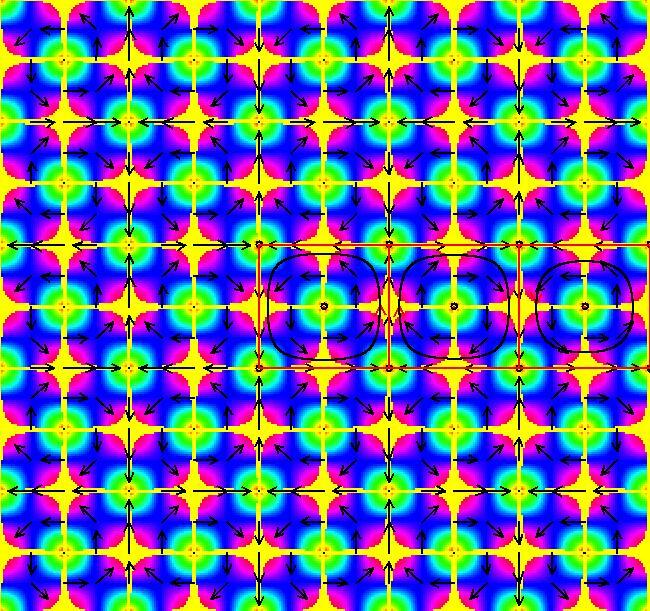 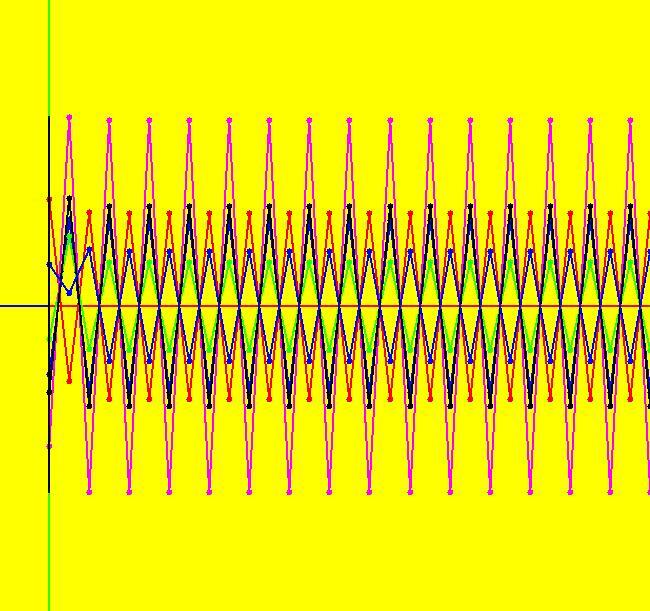 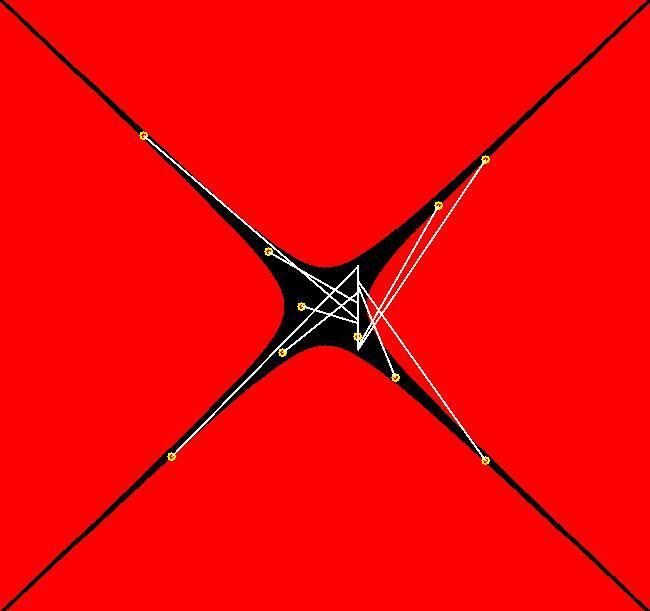 Image 1: The Ode separatrix system consists of the x and y axes. 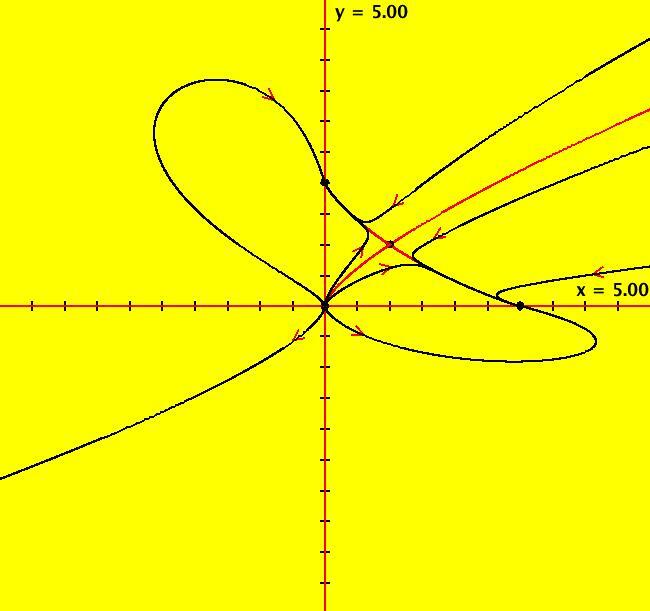 IMap orbits, except for the fixed point at (0,0), are all per-2, parallel to the x axis and symmetric about the y axis. 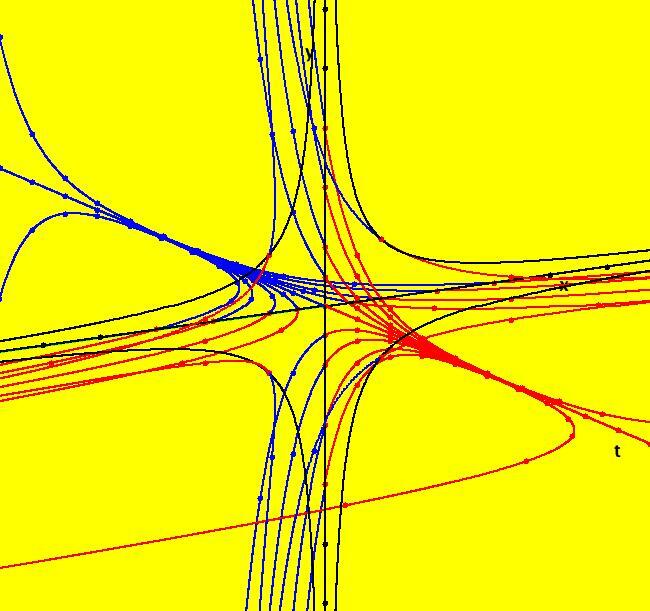 The IMap separatrix system is just the point (0,0). 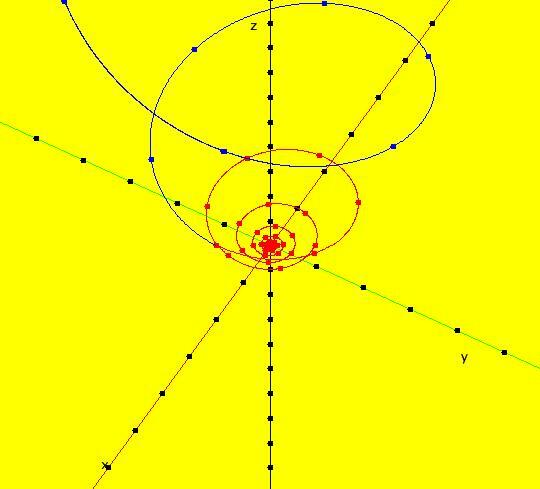 Image 2: Some IMap orbits. 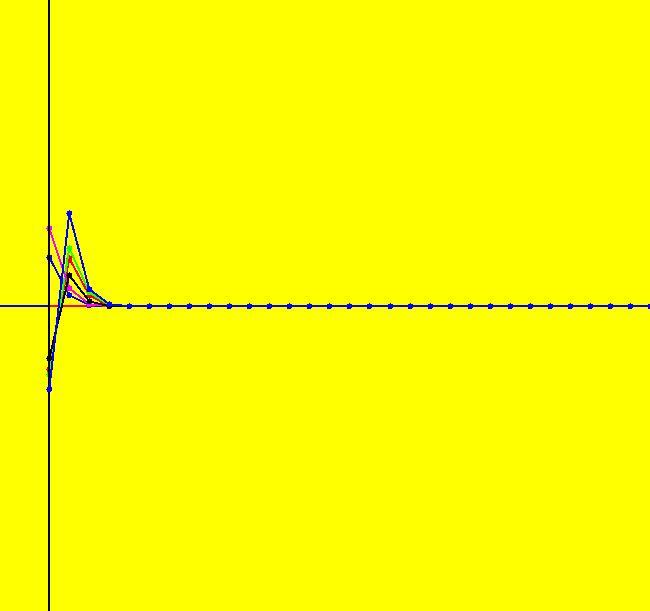 Click on (0,0) to see the ICs for the trajectories starting near (0,0). 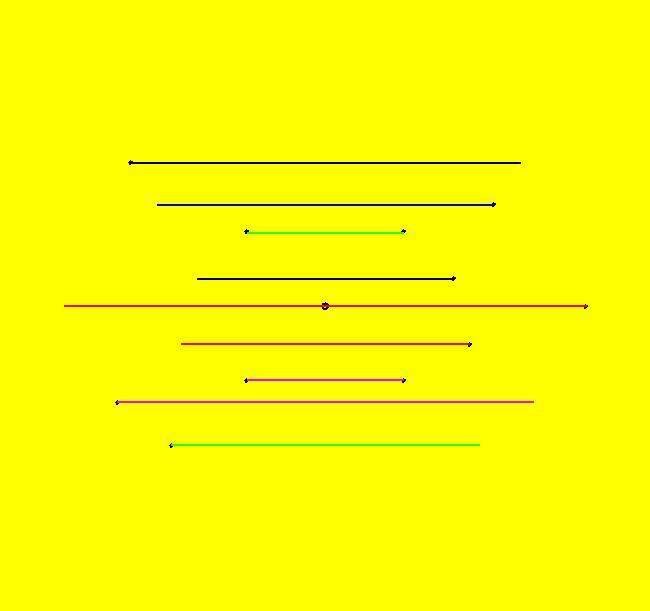 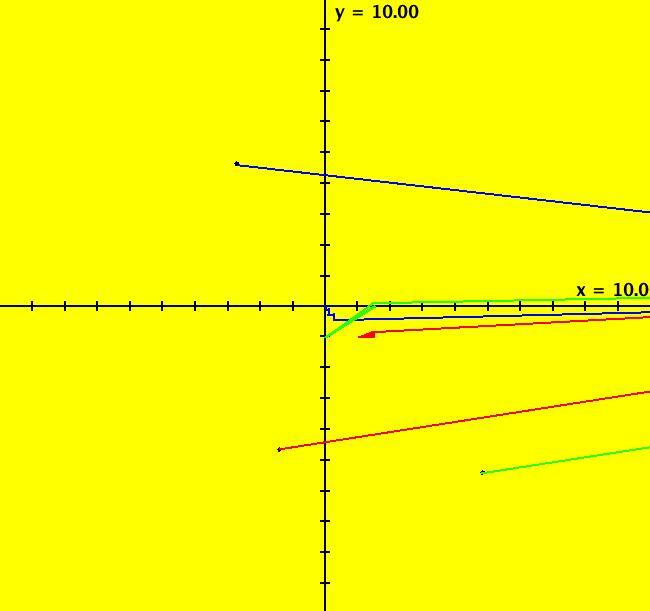 --> Zoom in to see the ICs for the trajectories starting near (0,0). 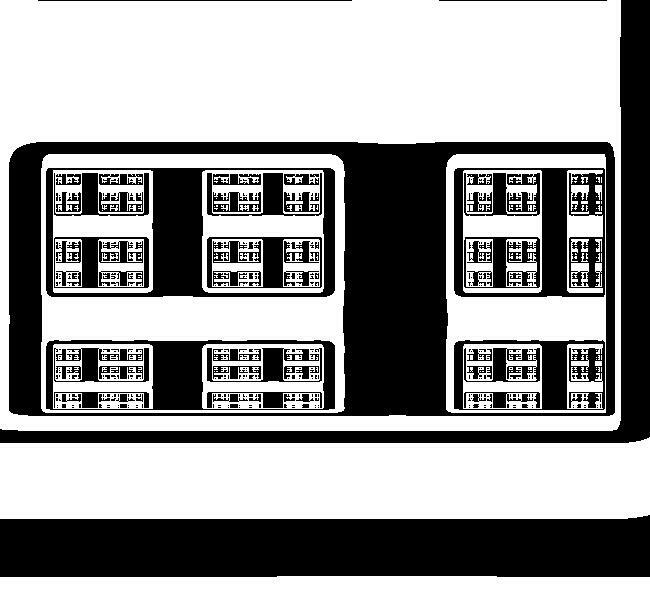 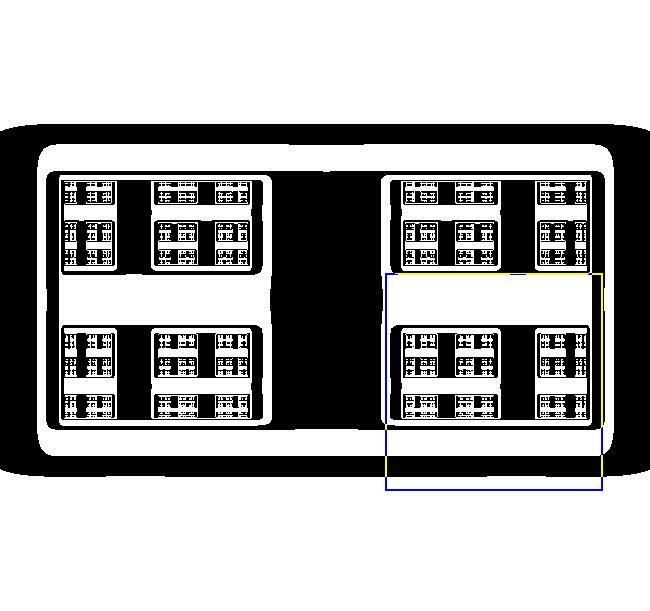 Image 1: Ode separatrix system in the R2+ view. 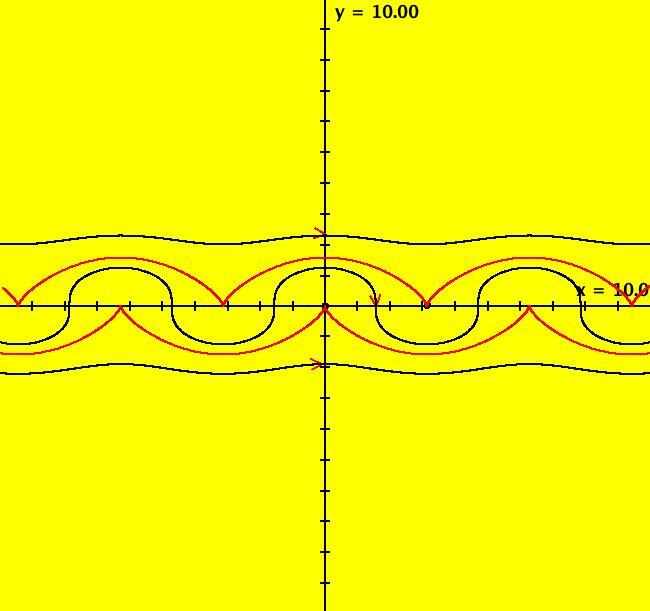 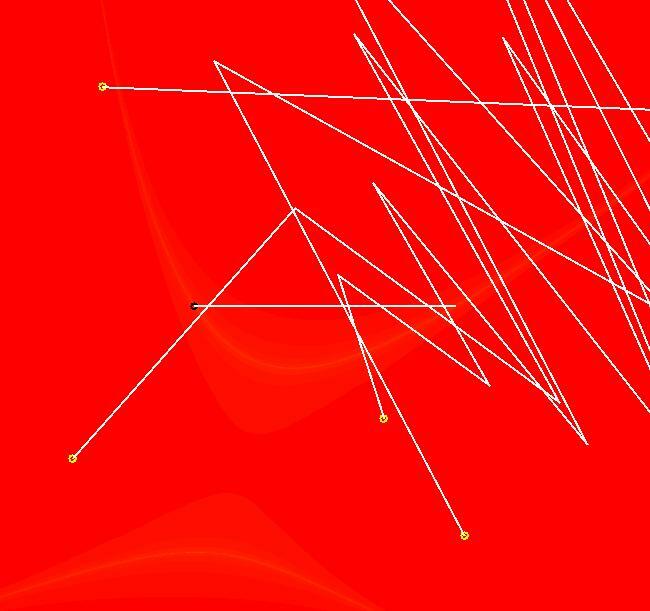 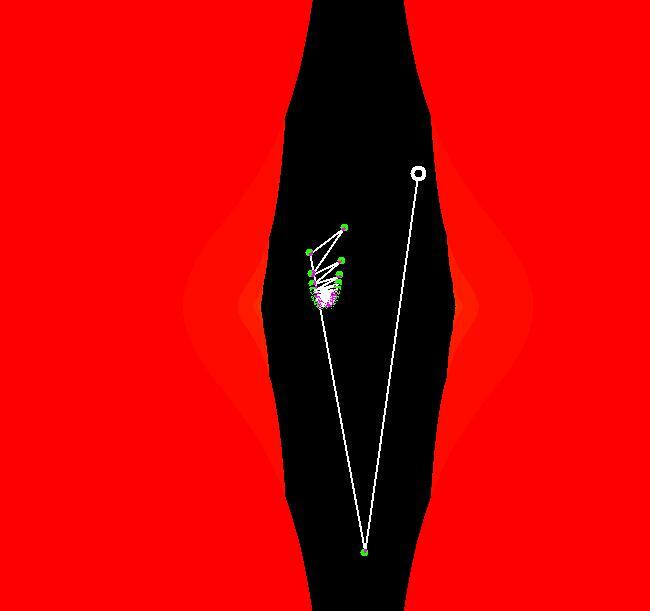 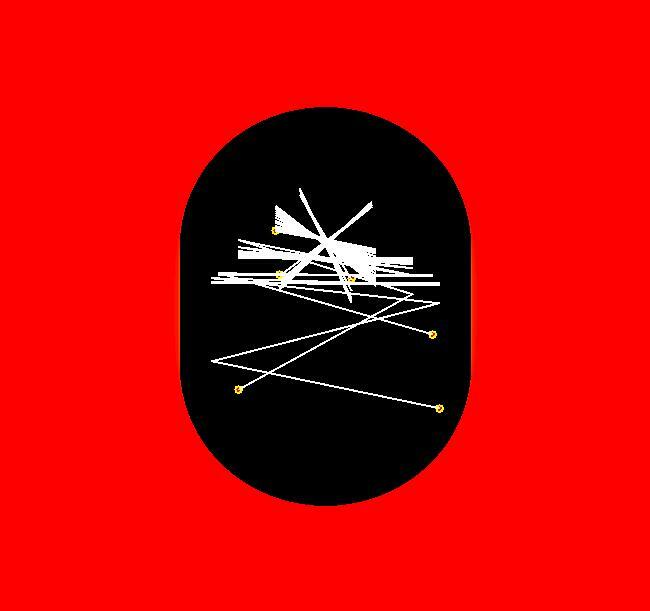 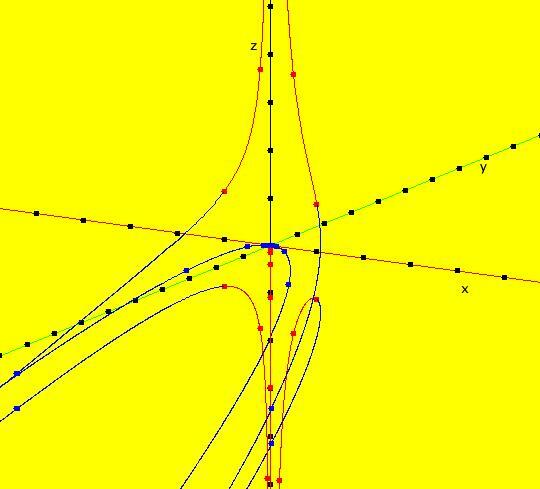 All Ode trajectories, except for the fixed point at (0,0), go to infinity but IMap orbits not. 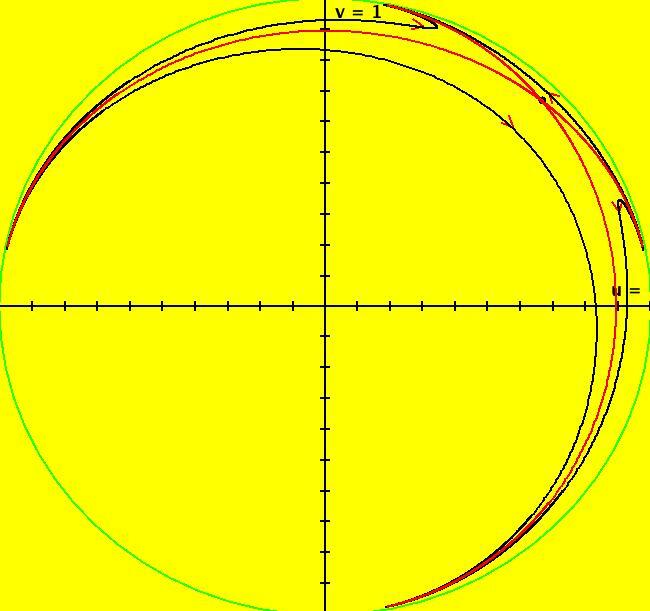 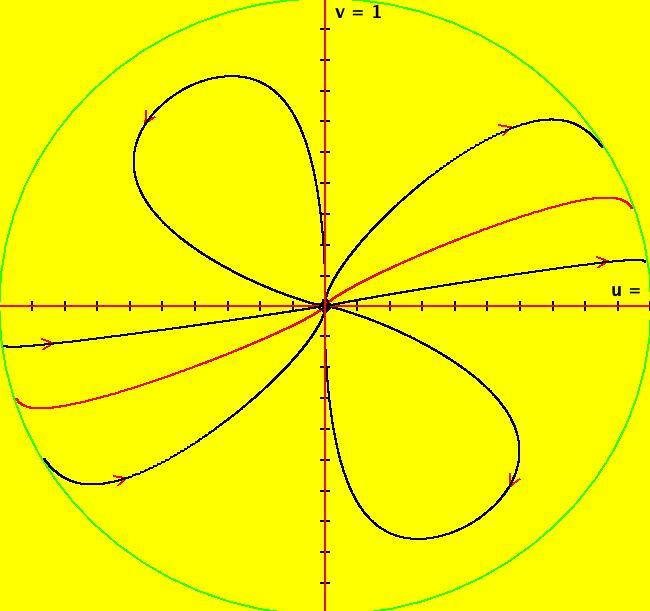 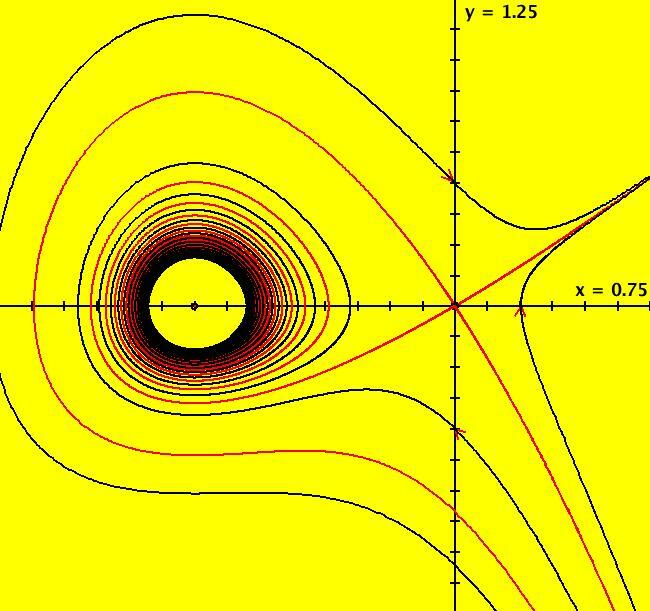 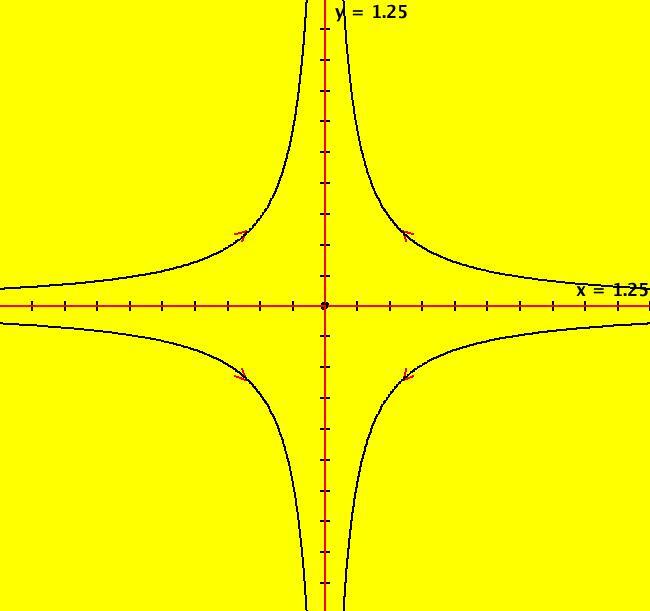 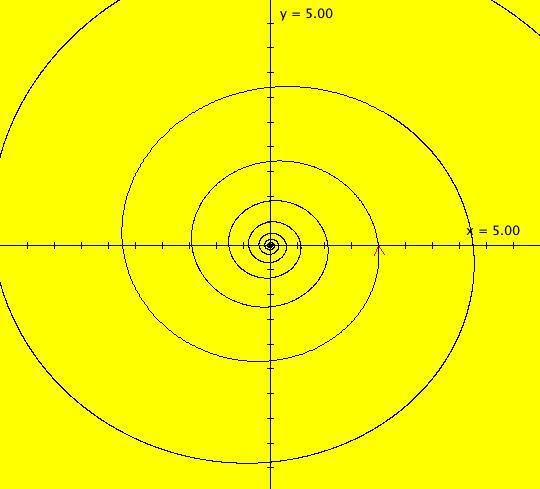 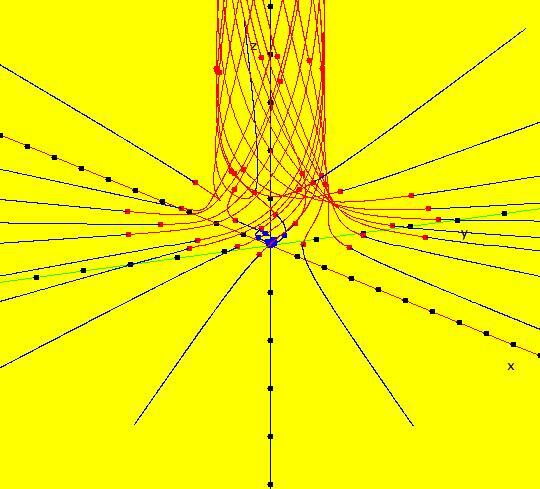 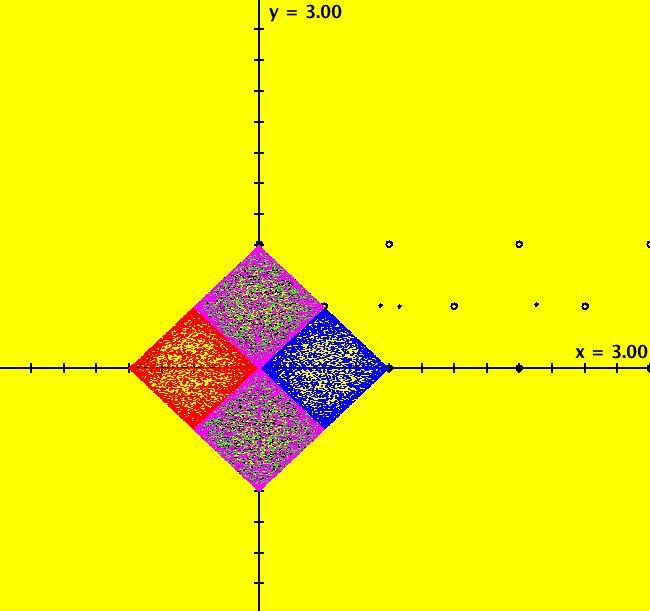 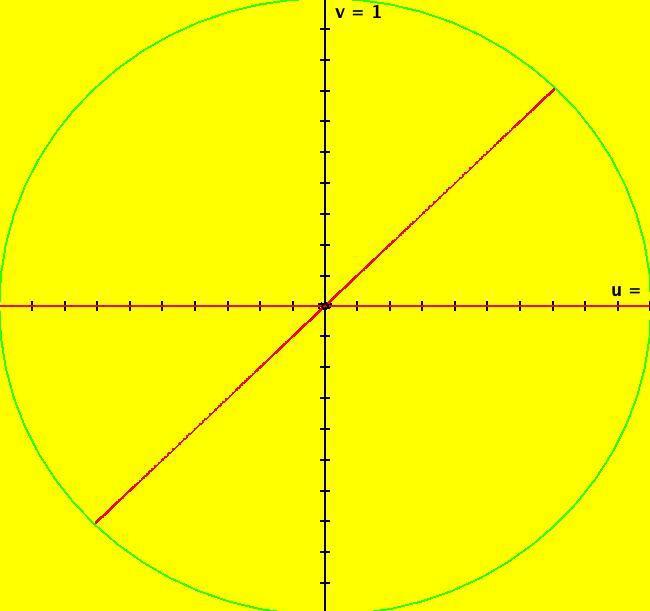 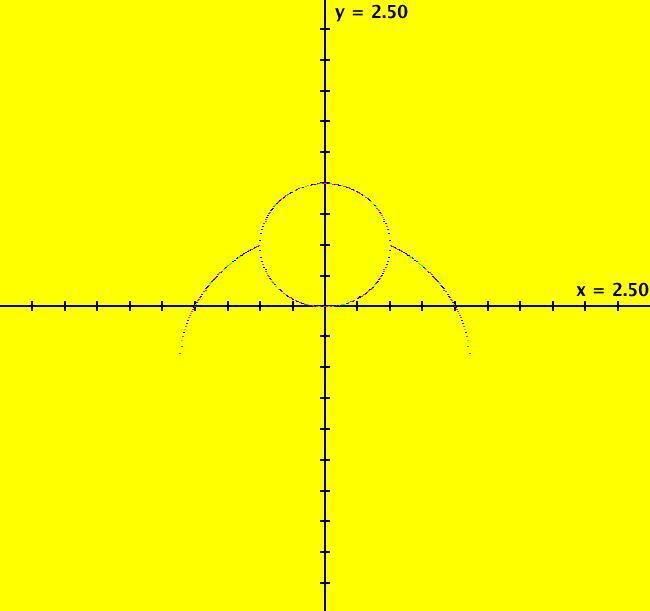 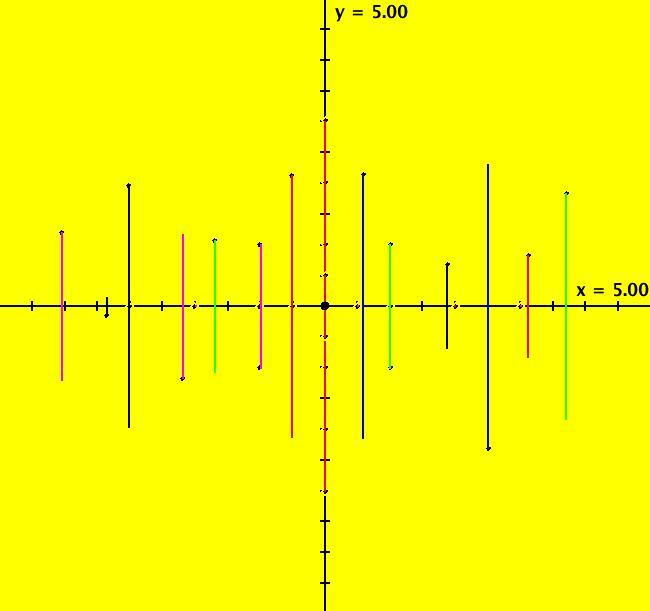 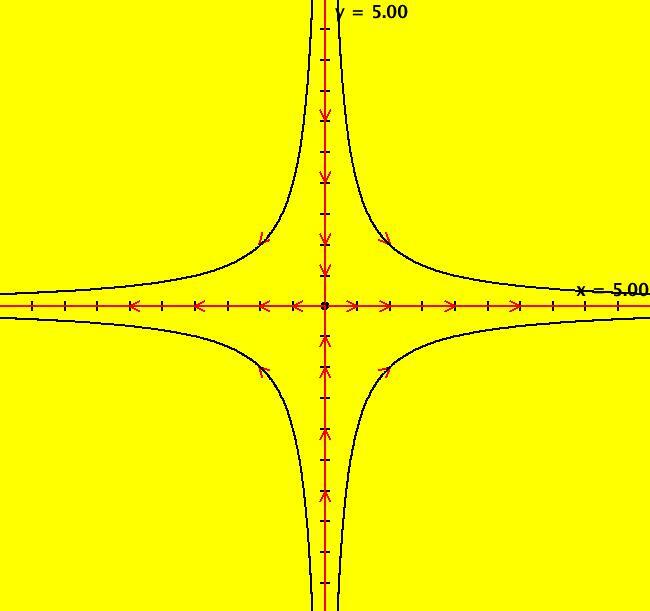 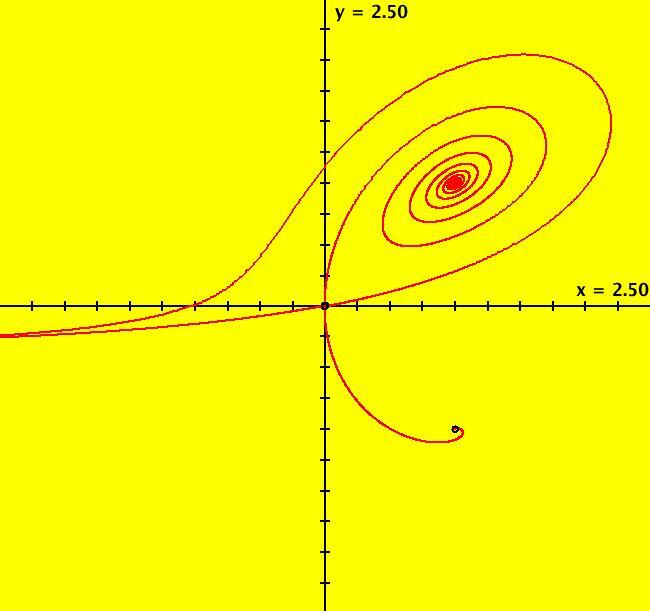 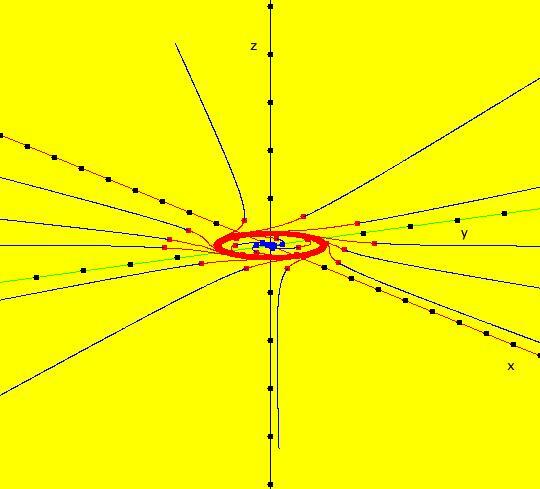 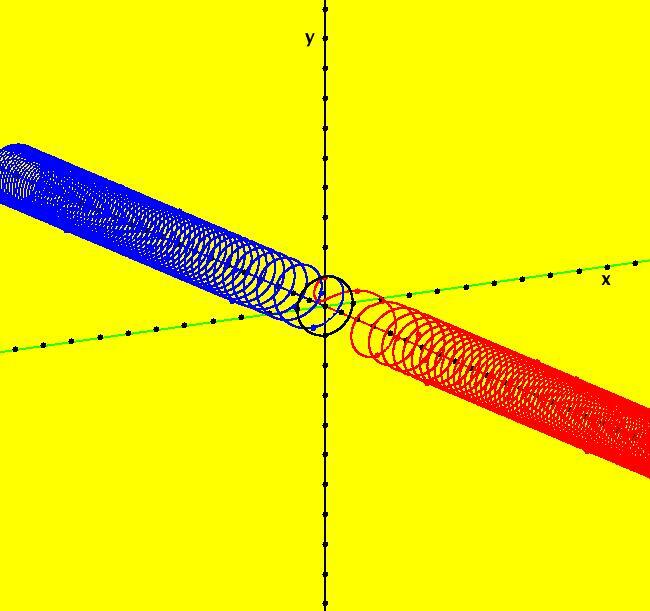 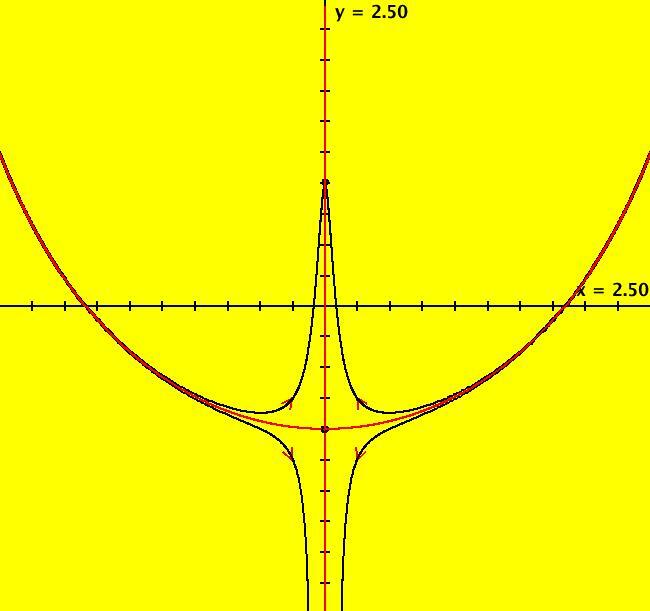 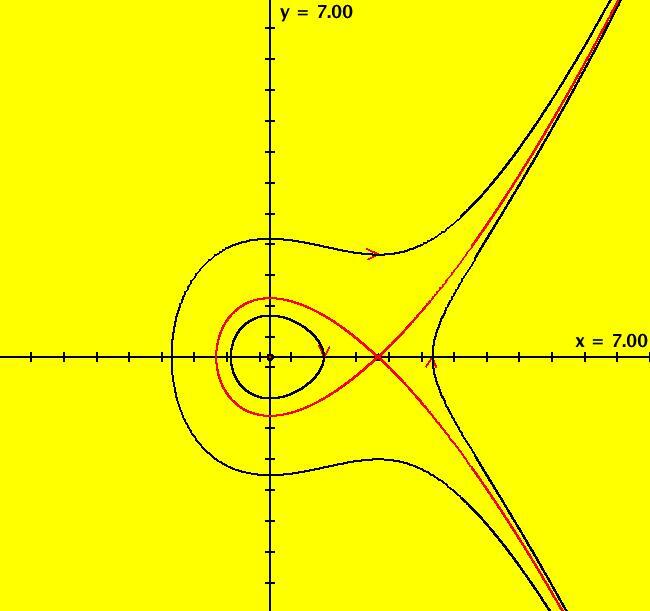 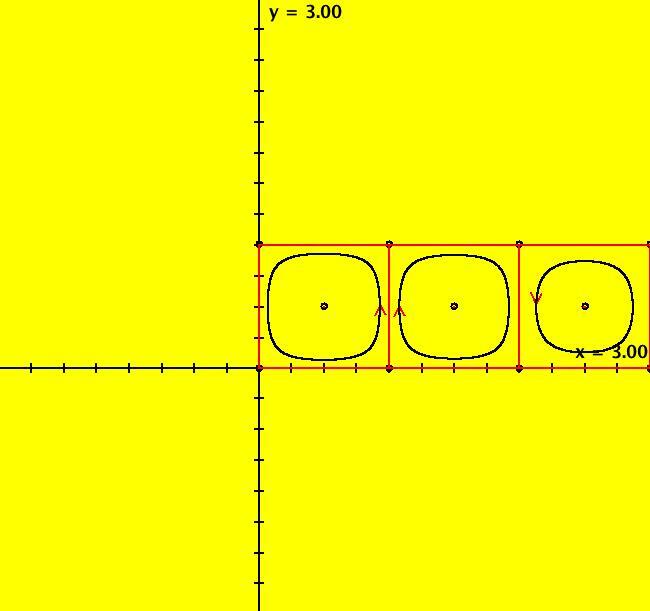 All IMap orbits for y ≠ 0 are per-2 with points (x,y) and (x-2*y,-y). 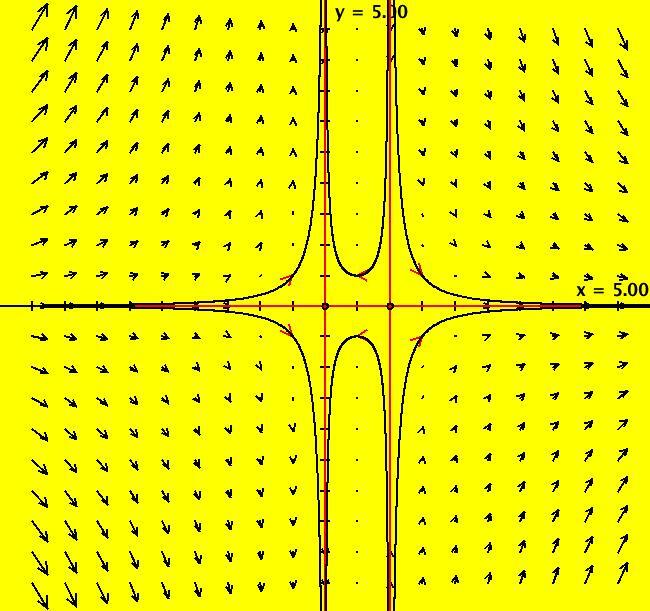 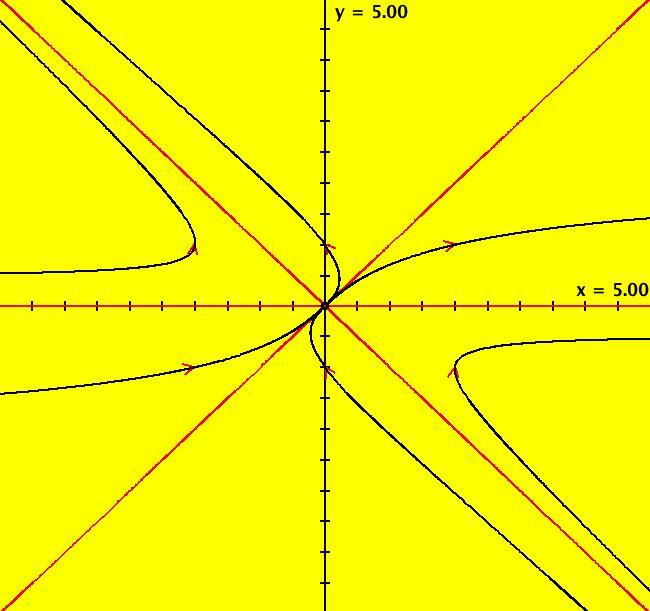 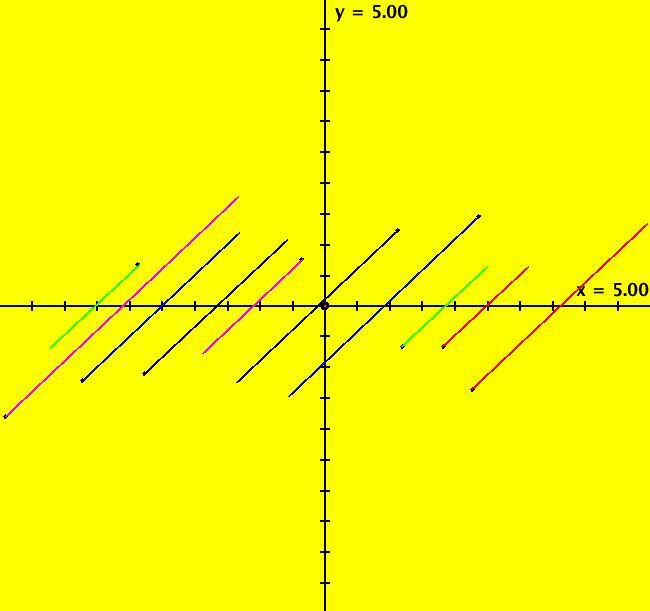 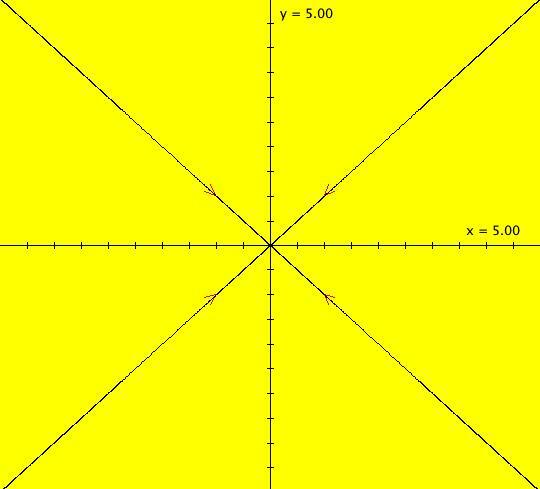 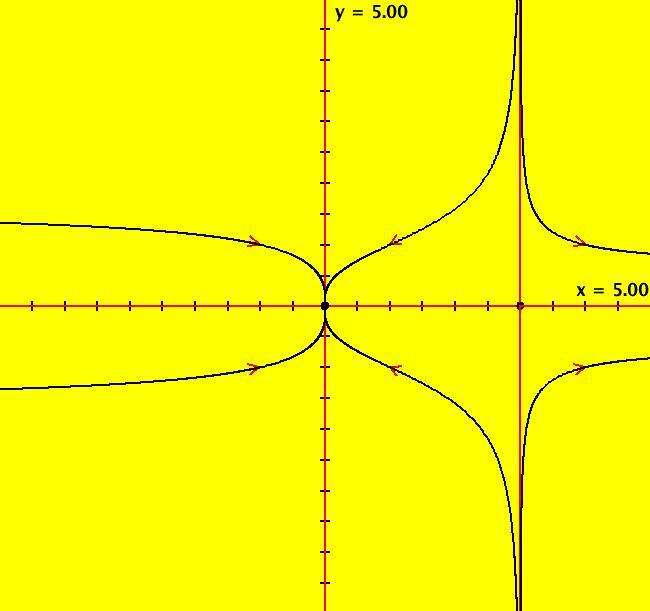 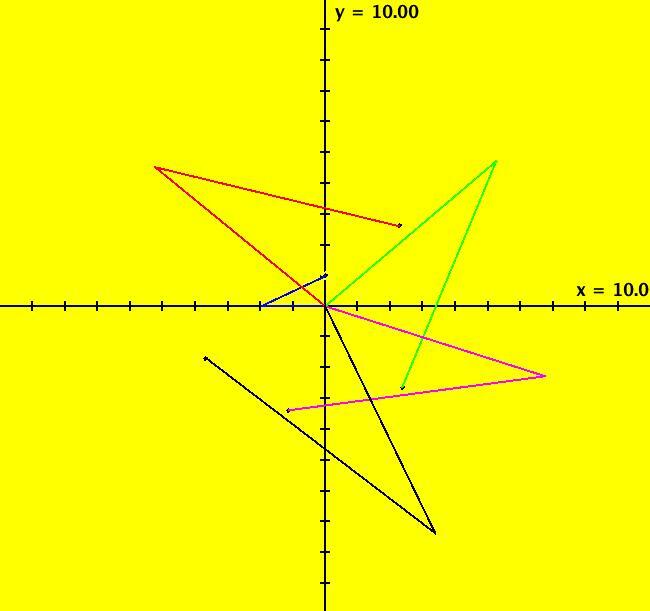 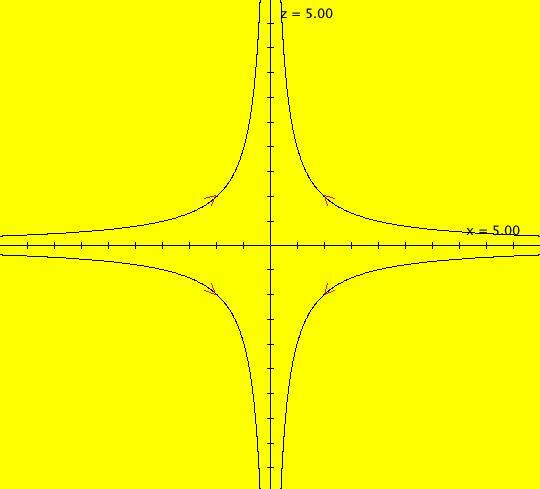 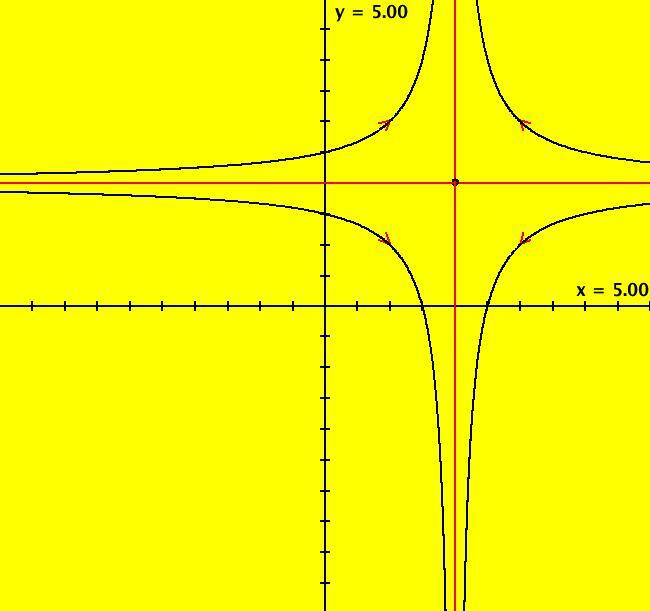 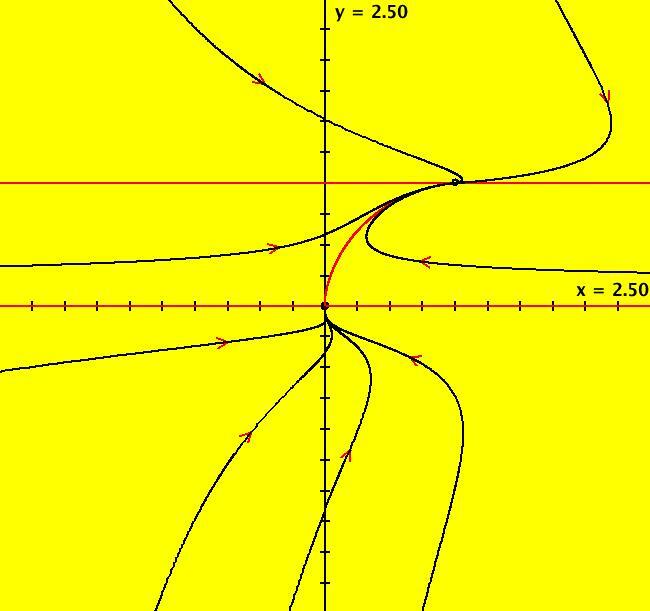 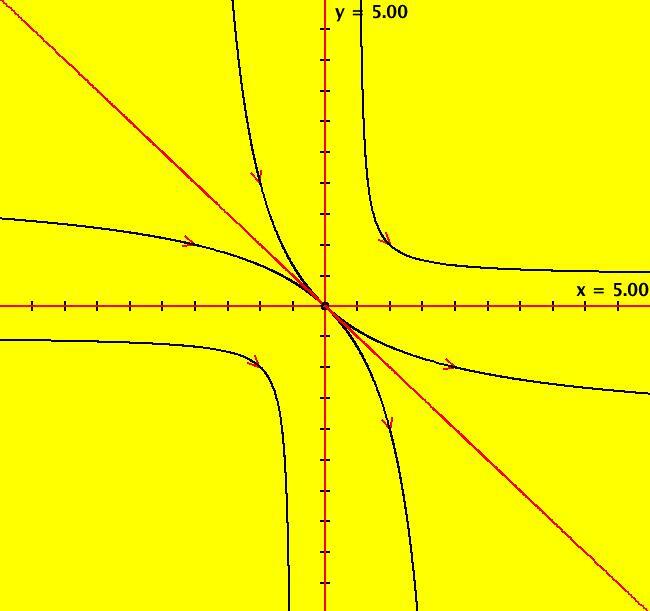 The x axis, which is the IMap separatrix, consista of fixed points. 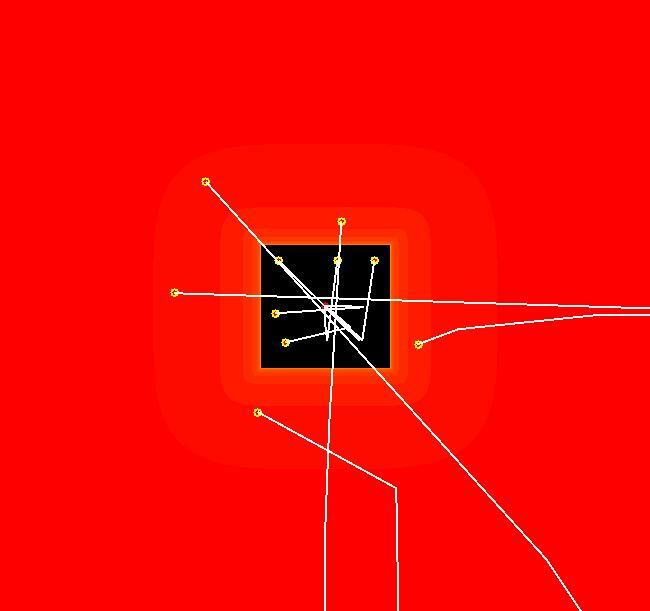 Image 2: The IMap view.